Having every thing done and in place when a restaurant opens for the first time can be the difference between a success and failure. First impressions are big, especially in a new business. If customers come in for a pleasant dining experience and the deserts are not available because they were forgotten in the final preparations, those customers will not be happy. That makes for no return visits and negative word-of-mouth advertising. To avoid negative situations, it is ideal to have a checklist that is done before opening the restaurant. This checklist will ensure that the business and financial part of the restaurant is taken care of. Having the right licenses for business, food service, a certified kitchen and a liquor license if the establishment is serving liquor are all essential before opening. Financing, insurance and lease agreements need to be agreed upon and in place before opening day. Create a list that includes all the details of the business and financial part of the restaurant. Include appointments and deadlines to stay on task and allow for rescheduling if needed. The front of the house refers to the entrance to the restaurant, a waiting area for customers before they are seated and the dining area, as well as the wait staff, tables and table placement, linens and other elements of the décor. This checklist needs to include sub lists for each element of the front of the house. 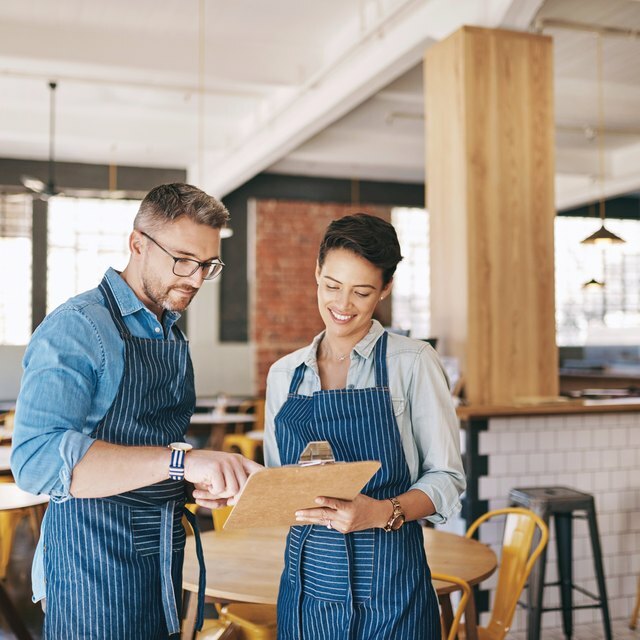 For example, determine how many people will need to be hired for the wait staff for each shift, when they will be trained and whether they can be hired ahead of time to get things set up. Remember to include deadlines with each task. The back of the house is the kitchen area and includes the the equipment, hired staff, and clean and dirty dish areas, as well as prep areas for food and drinks. This checklist also needs to have sub lists for each area. Include hiring staff and determine how many are needed for each shift. Consider what kind of equipment will be needed for the food and beverages that will be served in the restaurant. Having all of this organized and ready for the first day will make the restaurant look very professional. There would be no restaurant without the menu and the food. This checklist will have the menu items listed with both prices and costs for ingredients, as well as quantities and where to get the food for each item. Projections of how much will be needed for each day will have to be estimated until the restaurant is open for business. This can be done by estimating how many people will be served in a day. Specialty food may need to be ordered in advance, so take that into account when planning the timeline for the food checklist. Restaurant Forms and Checklists: Restaurant Start-up Checklists, How to Use Them.